Wotcha. I’m 34 years and 11 months old (forever), a potty-mouth, and I live in rural Warwickshire. I’m married to a farmer (who could win a hairy chest competition with his back), a profession that seems to have increasing cult status here in the UK; my urban friends tend to say things like ‘You mean you have, like, animals and stuff? And you drive tractors?’ Umm, yes. And yes, but only if I’m really made to, and then I absolutely insist on being allocated one with aircon, a synchro mesh gearbox & a working radio. I am very preyshus. I am currently deeply immersed in mothering our young child: the joyful by-product of a long line of reproductive mishaps: 6 unsuccessful months of clomid, 2 IUI cycles , 2 IVF cycles, 4 5 pregnancies, 3 4 miscarriages, a 2nd trimester teetering on the edge of disaster and an IUGR premature birth. Not only do I have ovaries that are generally reluctant to step up to the mark (except during attempted IVF downregulation, when they positively blossom into much busyness & follicle production), I also have a rare uterine anomaly: uterus didelphys. In short, I was standing well forward of the door when the uteri were handed out, because I have two of them. They both work after a fashion, albeit they are distinctly different in personality & often seem to be squabbling amongst themselves. I moan about this a lot. I also have a back-to-front heart, (phew!) aorta and vena cava. I have established aberrant anatomical form. I have my own little stationery business which ticks over quietly, except at Christmas when it goes nuts. I am exceedingly friendly and like receiving e-mails. I am usually up to my eyes in something and am, in consequence, spectacularly bad at replying. Don’t let that hold you back. Hiya- I accidentally came across your blog while looking for pictures of strange legs (don’t ask- I was blogging…)- then discovered you have the same extra insides as I do! I never tried to have kids (I’m 58 now) as they said both sides were long and skinny, sort of like a cat! I was also double all the way to the outside world- interesting!! NOT! I’ll have a squizz around the rest of your blog now- intersted to hear about the lad with the odd leg- hope it wasn’t something truly nasty. Sympathetic (( hugs)) from South Australia. Hello, I noticed on nothingbutbonfires.com that you would ‘elbow old ladies aside’ for a quarter of liquorice comfits. Well we’re the guys that sent Holly a box of sweets to chew over and we’d be delighted to send you a box too. All we ask for in return is a brief article and a couple of links to our site with some anchor text once you’ve received our box of goodies. Please let us know if you’re interested. Those comfits have your name on them! 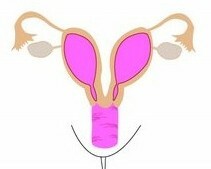 I know two people locally who have had bubs although they have either 2 uteri or one with a division down the middle. Both had their babies about 4 to 6 weeks early, once they conceived (because of space and muscular constraints I think). Both kids are fine- one of the kids is 35 now and the other is 19 and going to uni! My first gynaecologist had a patient at her rooms when I first attended who was 6 months gone with twins- one each side, 2 weeks apart!! They were born together, one prem. All OK. SO get those crazy sperm concentrated so they can do their job and chuck them into one side. Thirty is nothing compared with some these days! Good luck!